Every day I walk and cycle on sidewalks and streets. Once attuned to the color-coded utility location marks, I began to see how my commute was along infrastructural lines. 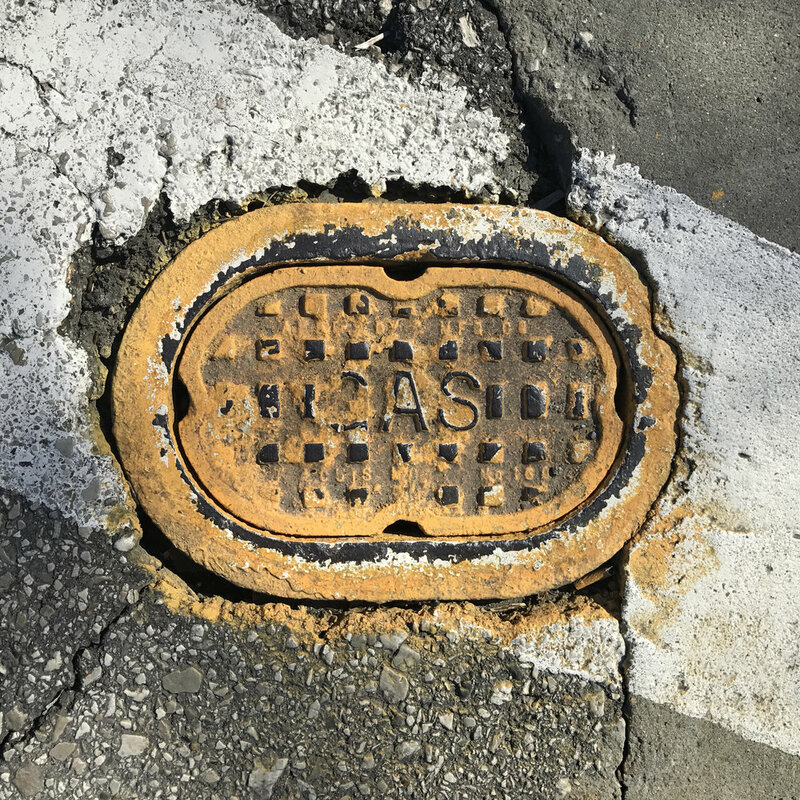 The flow of fresh water pipes, sewer lines, natural gas pipes, and telecom or electric cables is not so different from my flow (or the flow of capital) in a city. On the one hand, the marks represent the past development of real estate. On the other hand, they announce oncoming redevelopment. Fresh paint points to both operable and failing infrastructure; it marks a site for renewal. 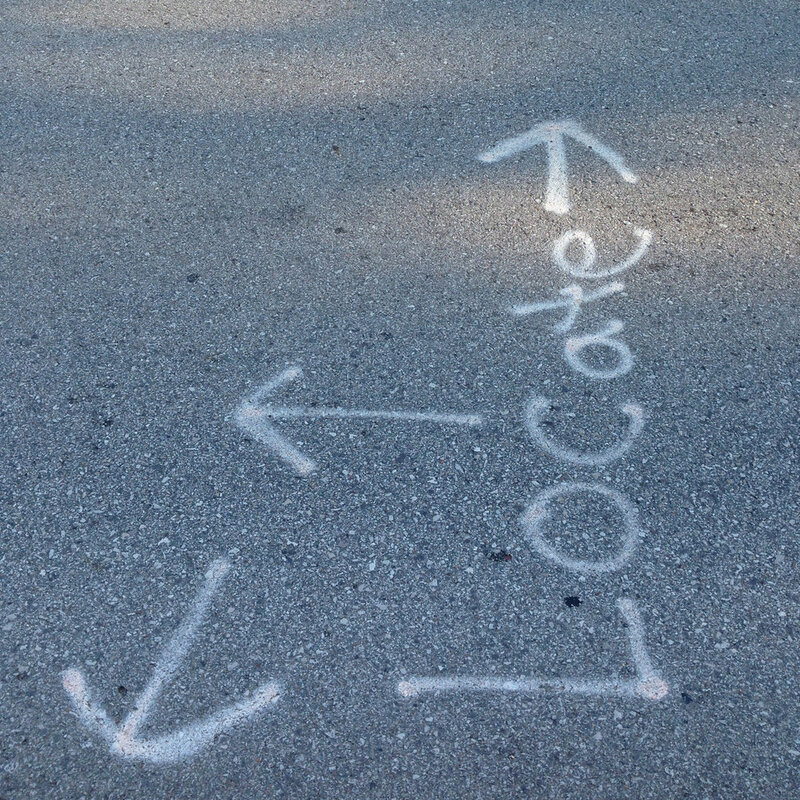 When a utility locator visits a site, usually the next thing to happen is an excavation. In the mess of excavation, deconstruction, and reconstruction, a great deal of precision is required to preserve operable infrastructures. We all agree they are valuable. No one wants an interruption of service (water, gas, telecom, electricity) or a flooded basement (sewer). 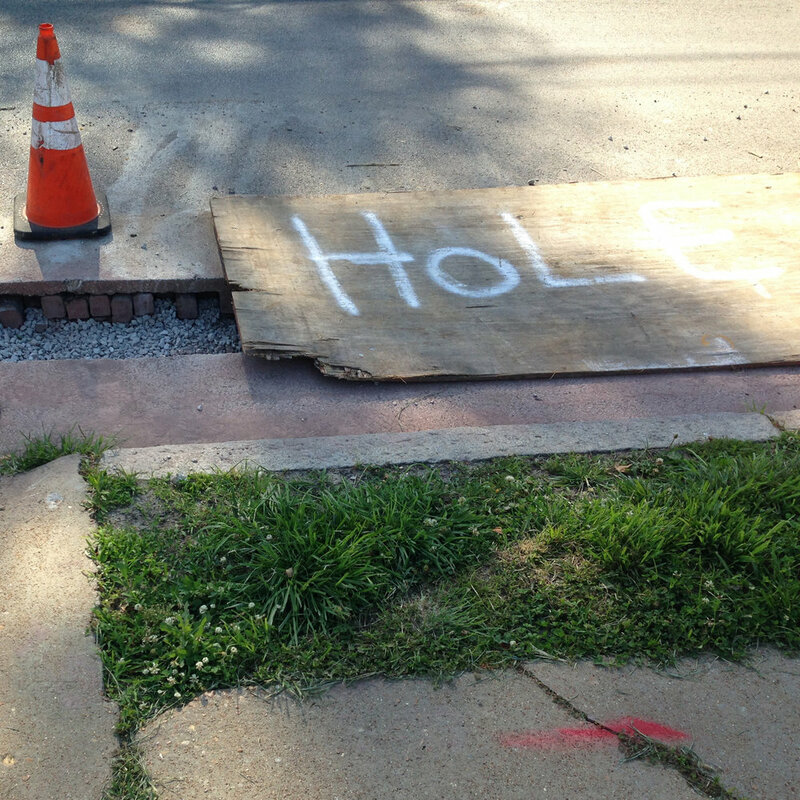 So, we take caution with public utilities. Infrastructure might be built for industrial production (like the Busch-developed fresh water system in St. Louis), but contemporary urban infrastructures primarily serve the production of real-estate. Useful as a lens to generate monetary value, real-estate fails to include many factors of social and environmental ecology. 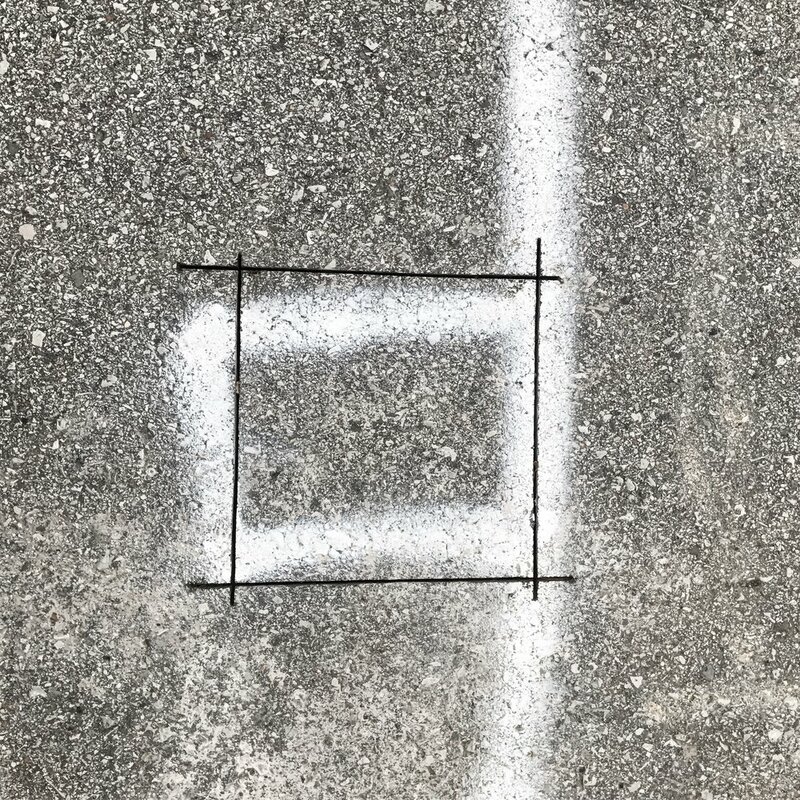 A garden-gallery of urban renewal artifacts marked by utility location. I marked the broken brick from a demolished house and the chewed-up tree limb from a tabula rasa block redevelopment in my neighborhood. 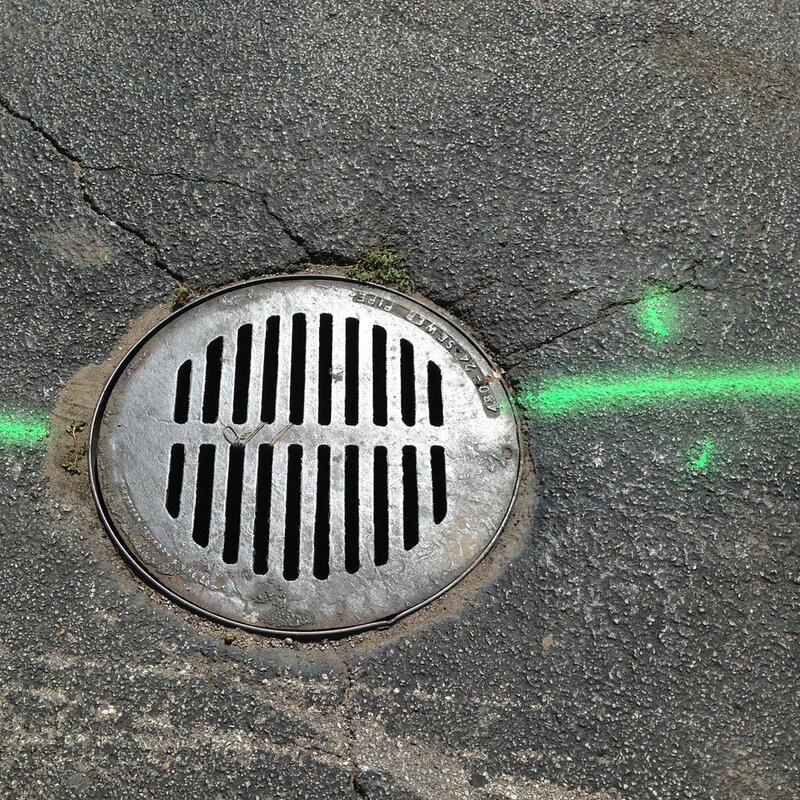 Green—which typically marks sewer infrastructure—is reframed here as green infrastructure, and pink—temporary or miscellaneous infrastructure—stands in for the erased cultural landscapes that stood in the way of urban renewal. Eric Ellingsen invited me to participate in his landscape performance, "the earth is blue like an orange (landscape performances welcoming the future now Chouteau Greenway)" at the 2018 "Dwell in Other Futures" festival. I read a statement explaining the possibilities of adapting the 'utility' lens to 'take caution with' social and environmental infrastructures. 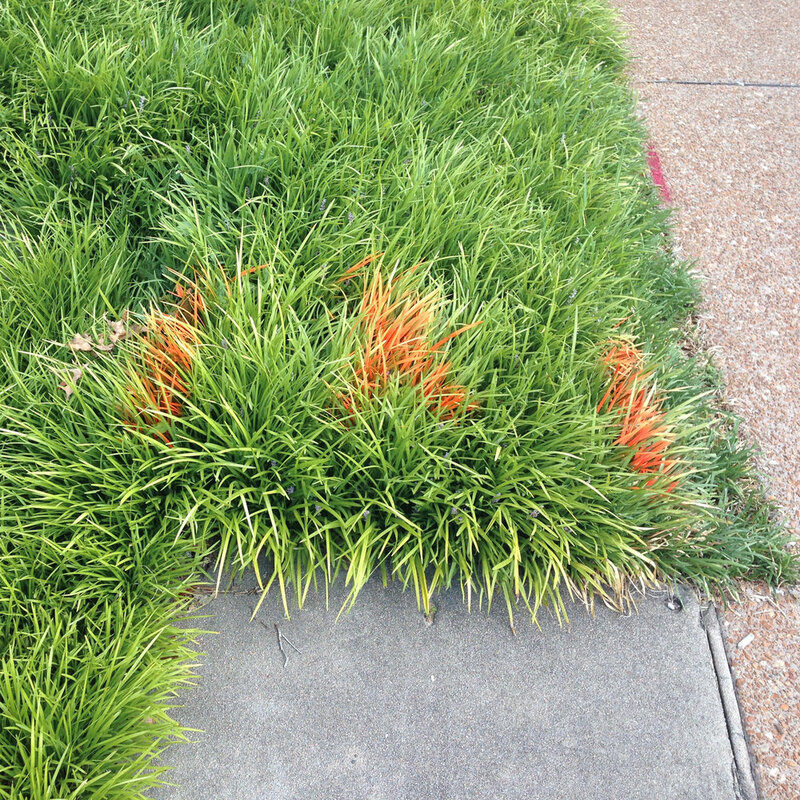 Then, I guided participants in making their own hopeful marks on the grass at the Pulitzer Arts Foundation.